Online business opportunities are becoming popular for more and more people every day. The advantages of an online or home based business include low startup cost, flexible working hours, tax benefits, to become your own boss, are to name but a few. But these advantages have been around for many years, so why the sudden growth? Why now? Why do so many people start their own home based business, and why would online marketing be something one would consider? Firstly, there is worldwide economic uncertainty and some Countries are either in the middle of a recession or are facing the probability of one. Job security is being threatened by global competition, robotics and digitalisation. For this reason, the demands for education, expert knowledge and social skills are changing. This change will fundamentally reshape all career paths, including our own. Online marketing offers people the chance to create extra income, to enhance their income earned from their day job. This extra income has proven to be a great help to many families. Of course many online marketers are making a full time living out of their home based business. Some have made a fortune doing it. But this level of success, while available to anyone willing to do the hard work, will not happen for most people. Most online marketers run a part time business earning them a few hundred dollars a month. Then there is the problem where consumers try to protect themselves from all kinds of marketing messages. “Do-not-call” lists make it difficult for companies to get their messages out to the consumer. Online marketing, which is about promoting a service or product to the end consumer by developing on a personal relationship with them, provides a strong solution to some of these challenges. More and more companies have found that online marketing is a cost effective way to reach consumers. This technology has helped make the world a smaller place, and made it easier to find and distribute information. Online marketing companies have taken the lead on the internet to inform, train and motivate their consumers. The cost of setting up a home office has decreased considerably. Today, you can set up a home office for next to nothing. Any computer with an internet connection and a phone is all you need to operate a home based business. This makes it affordable for everyone to start a home based business. When you compare this to the cost of running a normal business, it becomes clear why more and more people are attracted to a home based business. And then there is the growing uncertainty in the corporate world. Not too long ago, people could rely on having a job for life, or at least until they decided to quit. Today, many people have come to the realisation that job security is but a myth. Too many people have lost their jobs more than once only to find out that they were nothing more than a number to their employer. It’s not just the fact that you have to go out to find another job to provide for your family, you’ve had to listen to your employer bragging about the importance of their employees when in reality employees are just considered human assets. Online marketing not only offers people a chance to create extra income, it also empowers them to take control of their own lives, by helping them to realize that they don’t need to depend on their employer’s monthly paycheck. The support structures that many good online marketing companies offer are valuable to individuals joining this type of business. People will receive the proper training on their company’s products and services and they will also be educated on personal development. The advantages of a home based business are apparent and in the near future we are likely to see more of them. Looking at today’s trends in the economy it doesn’t take a genius to work out that the era of companies offering jobs for life has ended. It’s time to have the courage to gamble on you and consider starting a home based business. And for those people that decide to take this step, taking a serious look at online marketing makes sense. If you’re thinking about starting your own home-based business, here’s just one option for you to consider: Wealthy Affiliate. If you enjoyed this article, you may also enjoy “What is Affiliate Marketing”. Please feel free to share socially or leave a comment below. 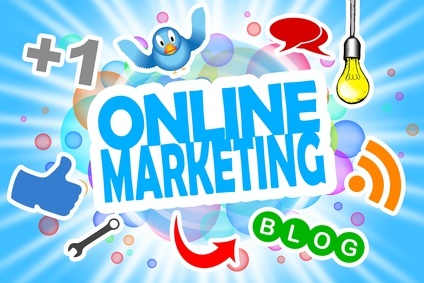 14 Comments on Why Consider Online Marketing? Gaylene,this is a very inspirational post you have published. I am very new at this but I can see the potential and finally happy I made the move. I am one of thise retired baby boomers looking for some extra income and I do believe I found the right place. Great article! I sometimes have a hard time explaining Affiliate Online Marketing to people. In my opinion, most get a glazed look over their faces. It truly is a progressive business model. Most, especially ones that are not into technology, can’t understand how anyone can produce revenue, from the comfort of their own dwelling by being on the internet. In retrospect, to me, it’s even fascinating and I am glad that I made the choice to explore the opportunity. Thanks again for your article! Great article and so very true. There are more and more companies looking to reduce their labor force and either make the position redundant or replace with robots and automation. As you say there are not many jobs for life anymore. Working online is a viable option for most pepople and the online community will only grow and grow, especially with the emerging markets like India, where there is already a large online business community, and their middle class starting to find themselves with more disposable income. Wealthy Affiliate with it’s excellent community and learning structure is making more sense to more people every day. Hello, Gaylene, I entirely agree with all you said in your post. Online marketing is becoming known to many as a result of global economic problems. And this is another great way to cushion the effect of job losses or inadequate earnings from 9 to 5 jobs. As a matter of fact, many have to take online business as a full-time business that has provided more than enough for them. You mentioned Wealthy Affiliate, is it free to join or is there a price? What a great article. This is exactly why I chose to get into online marketing. It is the future. Being able to work on your own terms, choose your hours and work from anywhere there is a internet connection is amazing. What I like about Wealthy Affiliate is the ability to work in ANY location in the World. You won’t get flexibility like that anywhere else. I tried other affiliate marketing programs in the past and FAILED. When I finally joined Wealthy Affiliate I never looked back. I would recommend this wonderful program to anyone who is serious about having their own business online. Yes, I would encourage people that are new to online marketing to start with Wealthy Affiliate. They have quality step-by-step training to help you build an online business and the program encourages you to write effectively. For me, the most rewarding part of the program is the amazing support you get within the Wealthy Affiliate Community. How successful you become really depends on the work you’re willing to do. I highly recommend Wealthy Affiliate. Thanks for taking the time to comment. I believe in transparency in anything that I do so I’m disclosing that I’ve included products and links to those products on this site and I will earn a commission for any purchases you make. Therefore, you should assume that any links leading you to products or services are affiliate links that I will receive a commission from. I only promote those products or services that I personally use. Please be aware that I am doing this as a for-profit business. If you require any more information or have any questions about this disclaimer, please feel free to contact me using the contact form for the Site. You can locate it by clicking the “Contact” link in the footer of the Site.